People can summarize a complex scene in a few words without thinking twice. It’s much more difficult for computers. We’ve developed a machine-learning system that can automatically produce captions to accurately describe images the first time it sees them. This kind of system could eventually help visually impaired people understand pictures, and make it easier for everyone to search for images. So what is A.I. Description? 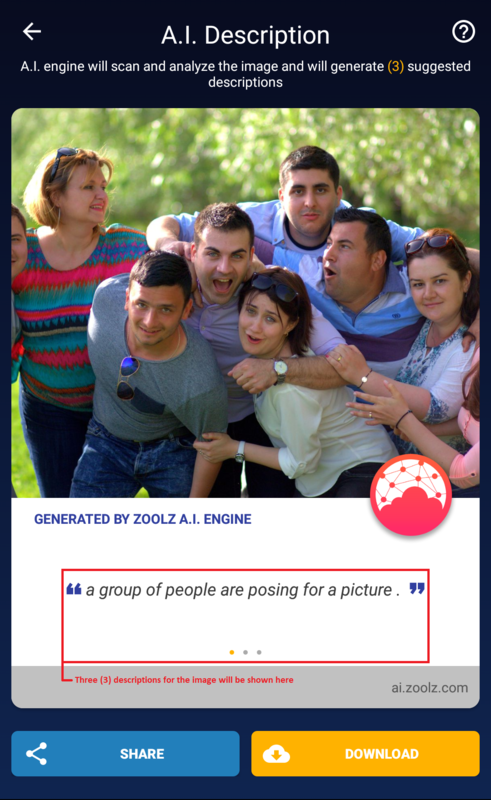 It is an automatically generated description of an image, as our A.I. 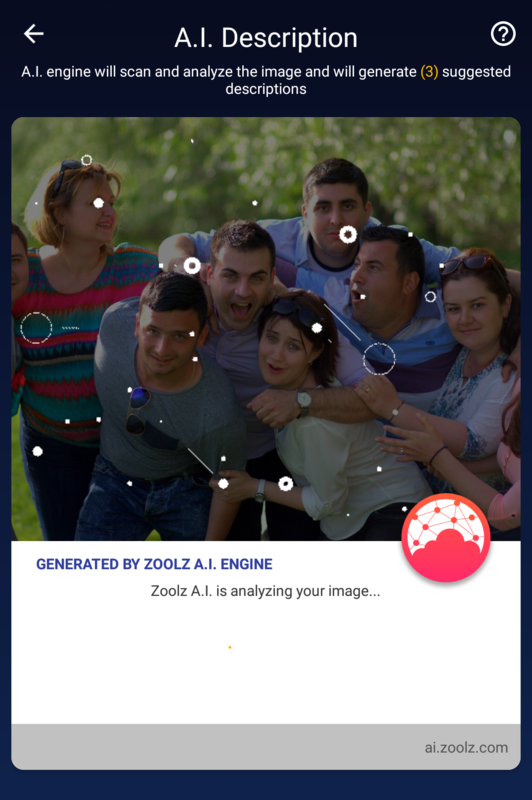 engine will scan and analyze the image and will generate three (3) suggested descriptions of that image, describing people, object, places, and what activity is happening. How to generate A.I. Description? 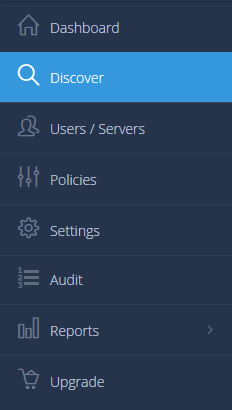 Log into your BigMIND online account. From the left side menu, click the Discover option. Open the image you want to generate an A.I. Description for it → Click the A.I. Description button there ( ). Open your BigMIND mobile app. Go to the Discover tab → Open any image that you want the A.I. engine to describe it → Tap the A.I. Description button ( ). The A.I. engine will start scanning and analyzing the image. The A.I. engine will generate three (3) suggested descriptions for the image. You can swipe left and right to navigate between the three (3) generated descriptions.